Try to get and early breakfast or else most of the sunbeds disappear. 2 weeks before email and ask for 3rd floor or higher, near as possible to the elevator, with a pool view. Playa del Ingles needs no introduction. 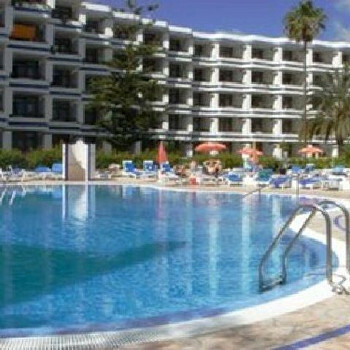 Playa D' Ingles is a wonderful place to stay, the streets are very clean and the entertainment around the hotels is fabulous, we visited Flanagans on numerous occasions and they made us feel like part of the family, excellent staff and entertainment. the shopping complexes are vast and you could get lost if you don't make a note of which way you travel but that is all part of the fun. This is Playa del Ingles.... Fantastic nightlife, great shopping centres, and beautiful weather. What else do you want? Playa del inglis is as much a family resort as it is for the gay community and we love the place. There is something for everyone here and as there are so many centres to visit you could do something different each night. The beach is large and so much going on there. we know gran cania well, player de ingles offers every thing possible, bus cheap as chips, if you drive petrol is cheap not like us in the uk being ripped off. yumbo centre highly recomended food for all tastes shops in abundance for the shop shopaholics. a trip and a tour to las palmas is a must and dont forget to vist mogan venice in miniture, and only 3.50 euros on the bus. Have a great time we did.